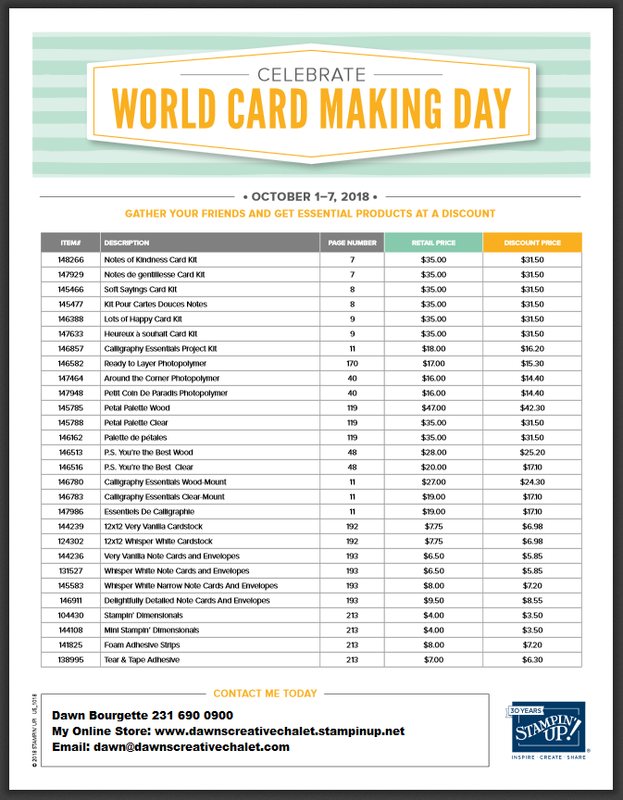 Celebrating World Cardmaking Day, Stampin` Up! Style! Hi there my friends! 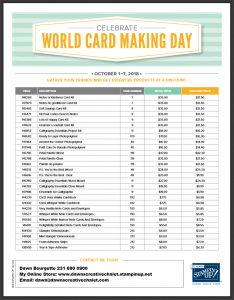 Its time to celebrate World Cardmaking “week” here at the chalet! With that, we have some sale pricing on some “staples” we use for card making. We love sales, right? Here are the items available with the sale prices listed accordingly. Along with that great sale, we have some amazing deals on the Clearance Rack too! Its such a great time to stock up on so many wonderful products!! If you need any assistance, please let me know – I would be happy to help you stop for the right products. I hope you are as excited about these sales as I am! I placed my order this morning grabbing my personal favs – the stampin dimensionals, the mini dimensionals, note cards and envelopes, and the fast fuse! Ive had the kits and the refills.. twice! I just love our all inclusive kits. One last thing before I go… We now have accessories for our awesome Stamparatus Stamp Placement Tool! Yay! Stock up while you are ordering your other favorites!